Les Murray says fans should not expect too much from the Vodafone Fijian Under-20 during the 2015 FIFA U20 World Cup in New Zealand. 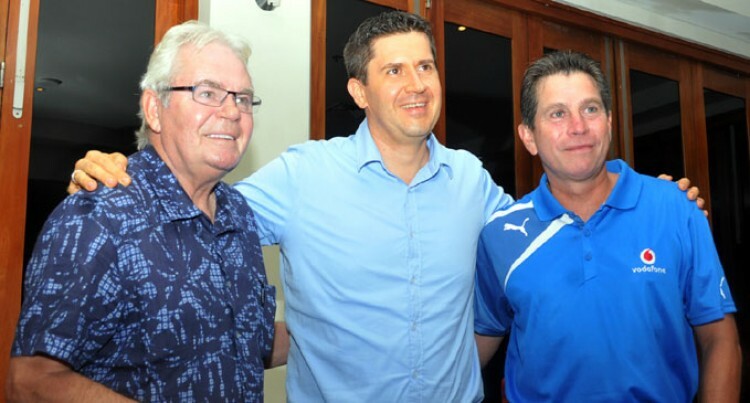 The renowned Australia broadcaster/commentator also known as Mr. Football in Australia, was hosted by Fiji Airways to a dinner with the local media at the Sofitel Hotel in Denarau on Monday. Murray said anything can happen on the given day but there was a need for more international matches. “There are many things but the key is developing the young footballers. It is very achievable with the right time of coaching and vision set by the Fiji FA. Meanwhile, he vividly remembers in 1988 when he did his first football commentary in Fiji when the Fijians beat Australian Socceroos 1-0 at Prince Charles Park, Nadi. “It was a small ground but was pretty full, it was not like Melbourne Cricket Ground and it was difficult for me that time,” he said. Fiji Airways manager public relations/communications Shane Hussein said they fly in Murray as part of their promotion of the upcoming Wellington Phoenix Tour to Fiji.